Among the handful of films released about old Hollywood in 2016, La La Land best captured the magical joy of the Golden Age. While the Cohen Brothers, Warren Beatty and Woody Allen focused more on the studio system aspects of yesterday, with varying results, Damien Chazelle delivered a song and dance extravaganza. Not only is La La Land the much needed feel-good movie of the year, it's perhaps the best film, one that engulfs with starry-eyed euphoria from reel to reel. Ryan Gosling is Sebastian, a Jazz pianist who yearns for the days of Thelonious Monk and can't seem to get with the times in the face of a changing musical landscape. 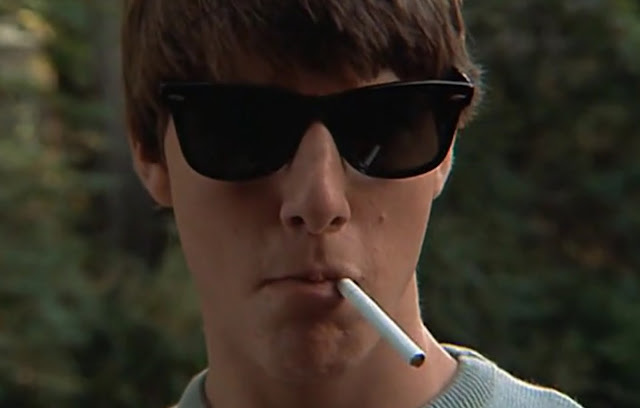 Sebastian first encounters Mia Dolan (Emma Stone) during the film's opening Los Angeles traffic jam musical sequence, as she flips him the bird. Dolan is an aspiring actress who day-jobs as a barista on a studio lot and can't seem to catch a break from casting directors. It's not until Mia and Seb meet and a shy courtship turns into a romantic fling where the two inspire each other to reach for the stars. 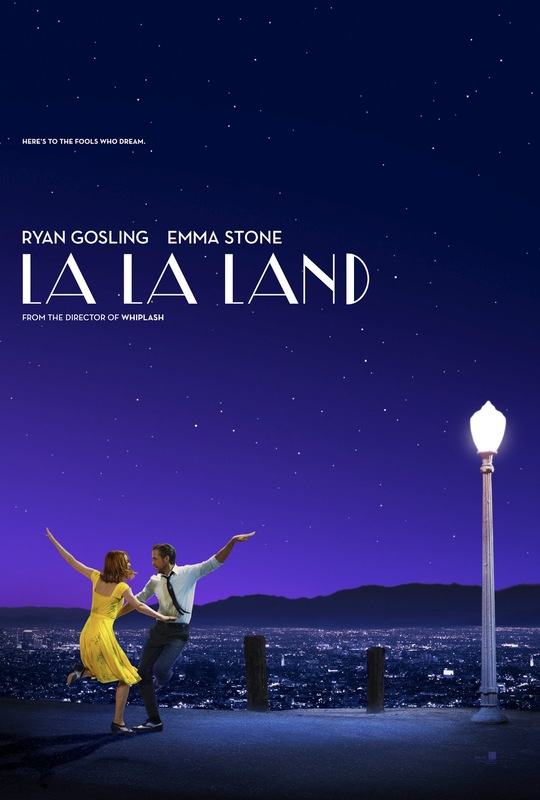 With its retro CinemaScope title card, La La Land is seeking to transport audiences to another time and place, even though the film is set in modern day city of angels. 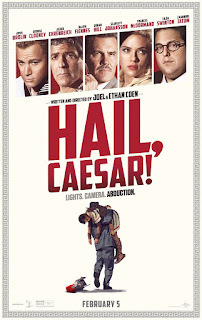 The Cohen's employ a similar technique in the opening of Hail, Caesar! 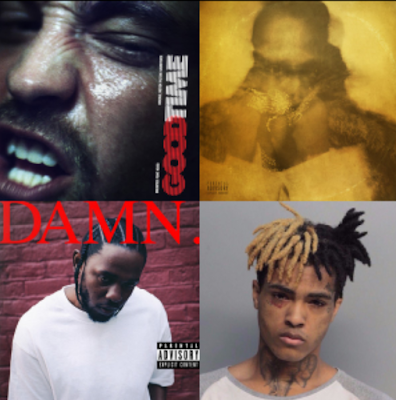 released earlier this year. While Hail sort of used a movie within a movie metaphor to pontificate on the "red scare" era of Hollywood, neither of these narratives were all that interesting in the end. Hail is a glowing, beautiful film to look at and does feature a strong ensemble cast and, of course, Channing Tatum steals the show. Unfortunately the film itself, about the politics of the Roman epic within the film, is just not captivating enough. La La Land is refreshingly free of agendas. Although some critics have attempted to drum controversy by poking holes, such as the film's lack of musical knowledge (untrue), that Gosling's character is a whitewashed Jazz savior (really?) or that a musical set in Los Angeles lacks gay characters (how do we know this for sure?). But the actual film is not free from critique; La La Land isn't on par with Singin' in the Rain, for one, Gosling is nearly tone-deaf. John Legend plays a bandleader friend who gives Seb a touring gig and pushes Seb to be more "mainstream." There has been some backlash against this element, that Legend is portrayed as a "sellout," but I would debate he's simply smart enough to make music with mass appeal and the film doesn't present him as a hack. While La La Land may employ broad strokes at times when it comes to its influences, it still nods to jazz giants and classic cinema such as Casablanca and Rebel Without a Cause (in the movie, Mia had never watched) which hopefully inspires a younger audience to seek out. 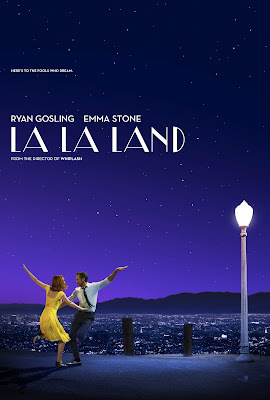 Despite shortcomings actual and perceived, La La Land will probably go down as a modern-day masterpiece, a technically majestic film that gives Stone and Gosling's on-screen chemistry room to bubble and with enough scenes (the Griffith Observatory, the lamp-post stroll or the finale, to name a few) that are unforgettable. I was reminded of Warren Beatty's recent flop, Rules Don't Apply, at times when watching La La Land. 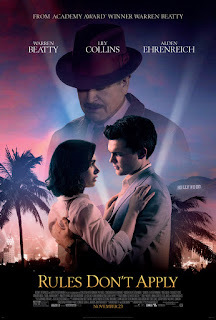 Beatty played an older version of Howard Hughes and the film focuses on an aspiring actress (Lily Collins, who is very good in the film) and her relationship with Hughes and her company appointed chauffeur (Aiden Ehrenreich -- who also is in Hail, Caesar!). Rules boasts beautiful cinematography and features some great acting by Beatty and Collins, but in the end it falls flat because of the identity crisis of plot, never committing to be a film about Hughes, old Hollywood or the romance between Collins' and Ehrenreich's characters. 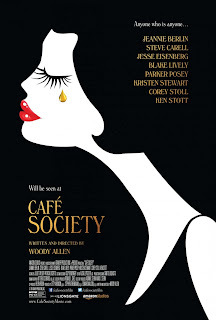 The love triangles that exist in Woody Allen's Cafe Society propel the film as Bobby Dorfman (Jesse Eisenberg) lands in Hollywood, looking to secure a job with his big shot Uncle Phil (Steve Carell). It's yet another film, like La La Land and Rules Don't Apply, about transplants chasing love and silver screen fame. Allen's humor makes Cafe Society a much better film than Rules Don't Apply, and it's second only to La La Land in lush L.A. photography. What makes La La Land click more so than the aforementioned films is the excitement. Gosling and Stone are fun together and fans of Chazelle's previous film, Whiplash, will enjoy the musical bonanza of La La Land. Chazelle, who also wrote Whiplash and this year's 10 Cloverfield Lane, continues his panache for the clear-cut screenplay heightened by lights, camera, action. It's such a winning formula, one wonders why so many others have strayed away.